The Paper Trail Diary turns 2! Happy birthday to The Paper Trail Diary! It’s been two years since I’ve been writing about books, zines, snail mail and paper crafts, and I’ve loved every minute of it. I so enjoy being able to review books and write about mail projects. 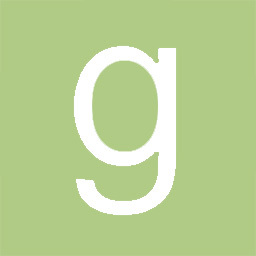 I’ve met so many amazing people through blog and social media connections too, which has been really valuable to me. I’ve started projects like The Notebook and Pen Swap and the Chain Letter Short Story Project (#2 should be coming back to me in a month or so! Ah! ), have participated in events (stay tuned for news on another! ), begun working on a book proposal and more. This blog has done so much for me, but only because of you guys, you lovely paper dolls, so what better way to give a shout back than to do another giveaway! 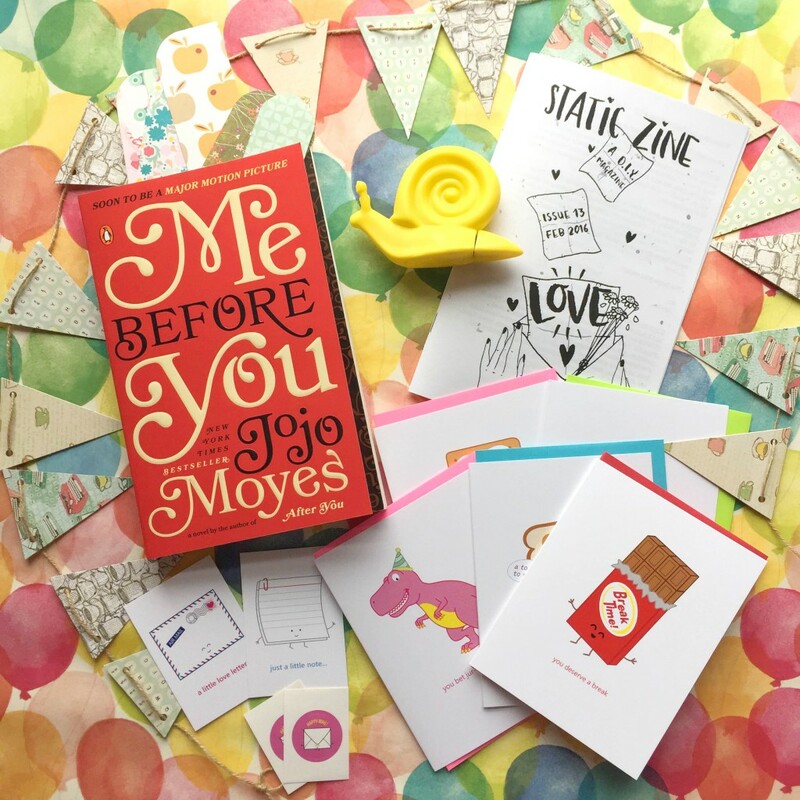 Favourite Instagrams: Snail Mail – Pen Pal Edition! The 2015 Notebook & Pen Swap: Incoming photos! This year’s giveaway includes two packages, one for you and one for your friend. 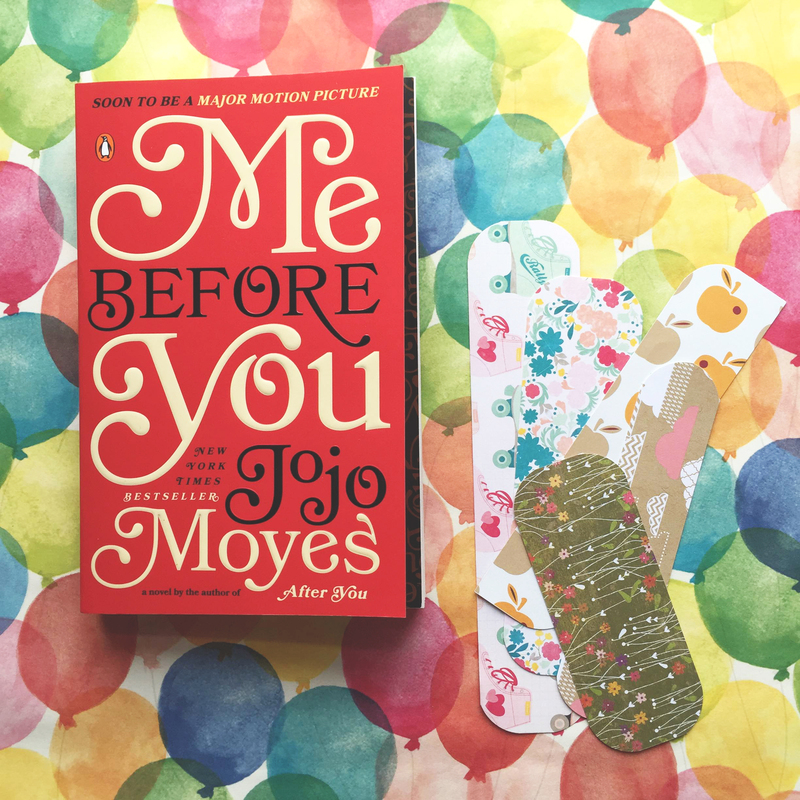 A copy of one of my favourite books, Me Before You (thank you, Penguin Random House Canada!) and five bookmarks. Read it before the movie comes out next month! Get ready to ugly cry. 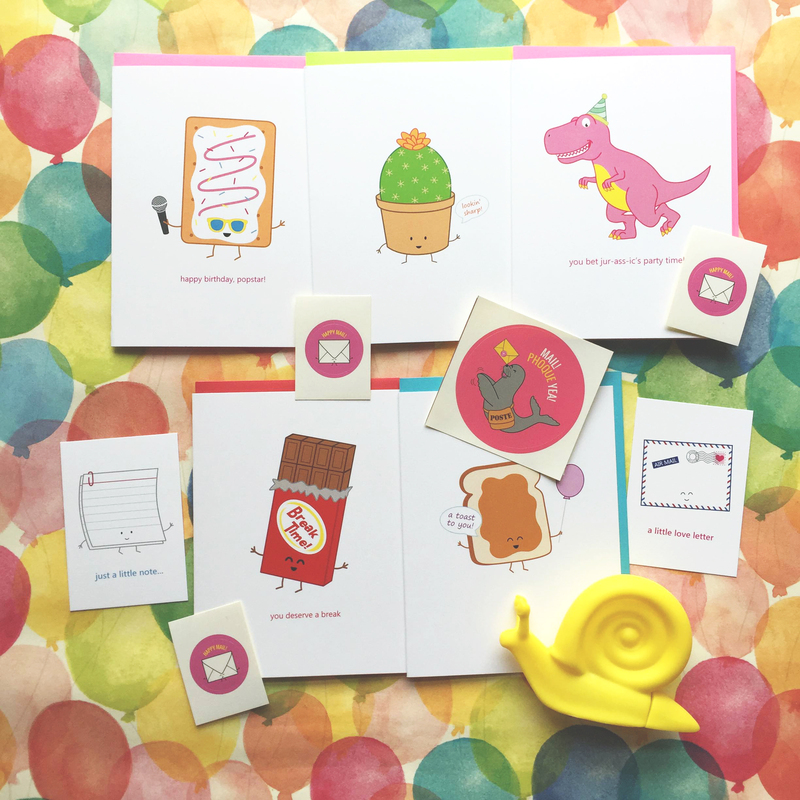 These adorable punny cards and stickers from Queenie’s Cards and a snail highlighter! 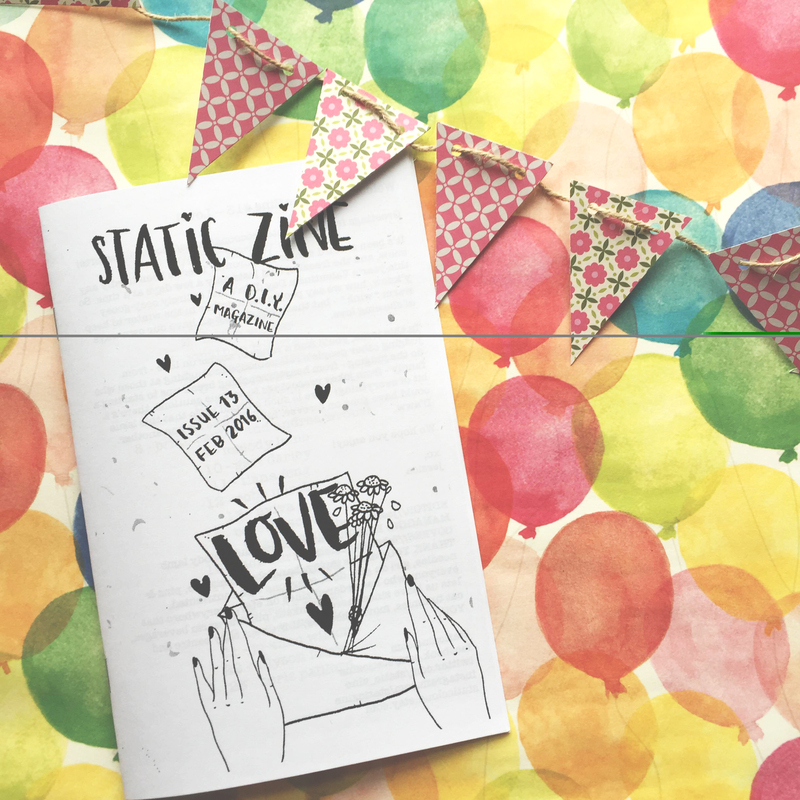 A copy of Static Zine’s love issue and typewriter/coffee themed bunting! 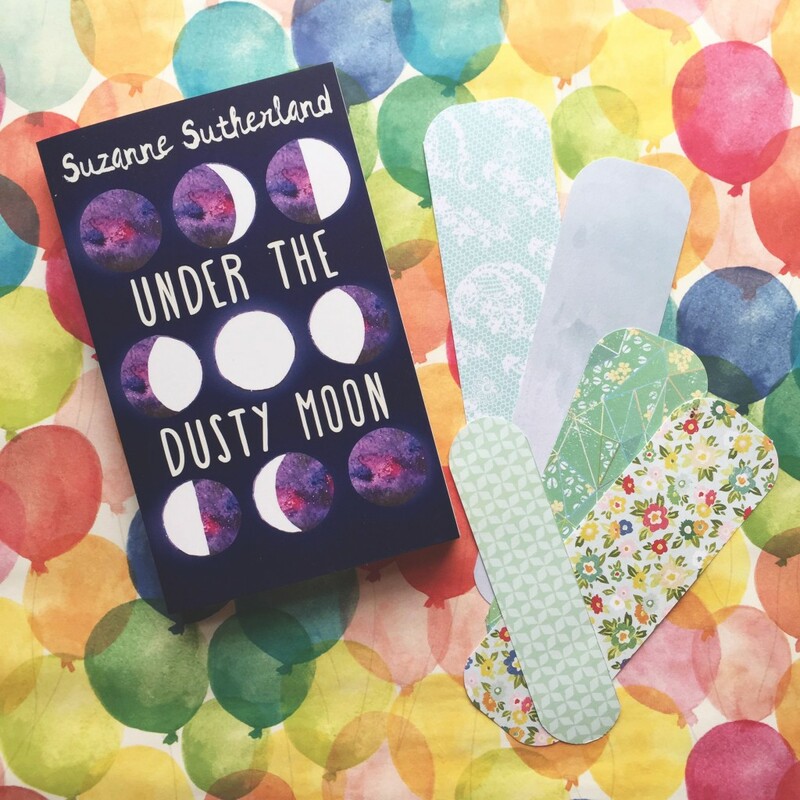 A copy of the awesome YA novel Under the Dusty Moon by Suzanne Sutherland (thank you Dundurn Press!) and five bookmarks! This book will really get you in the mood for summer. 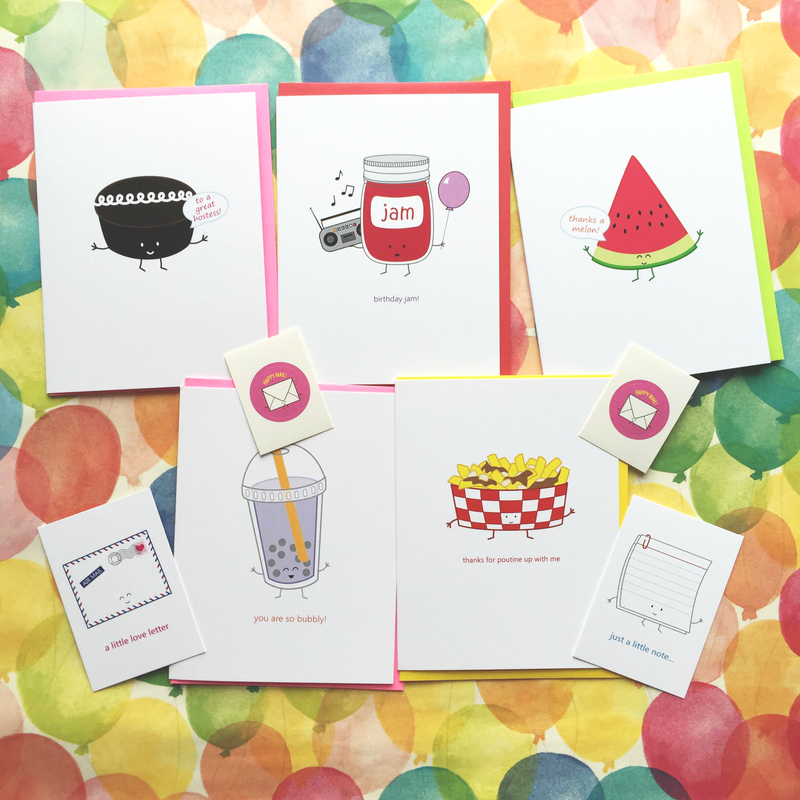 These adorable punny cards and stickers from Queenie’s Cards! 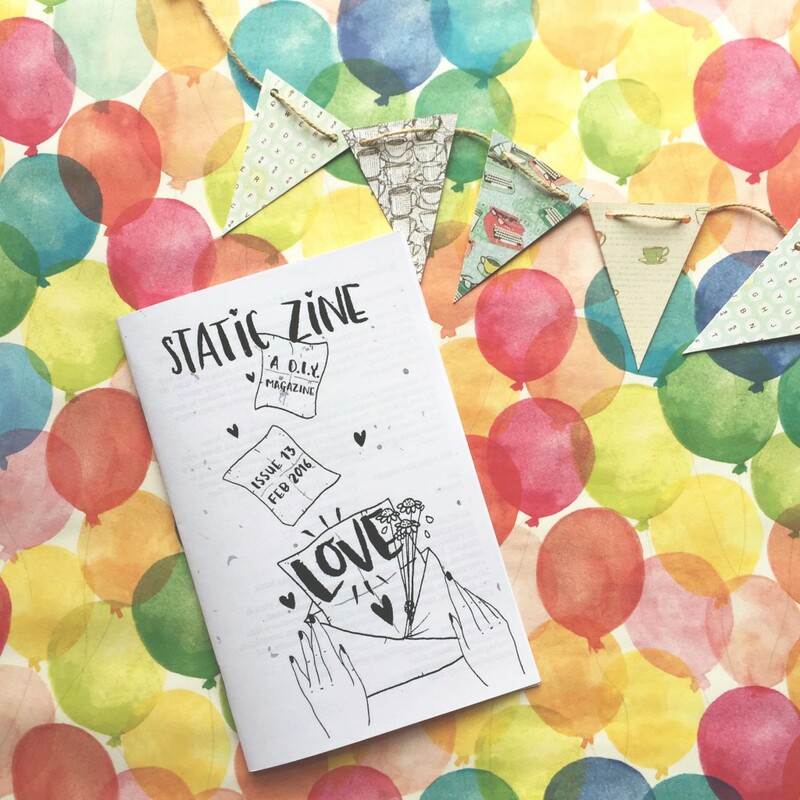 A copy of Static Zine’s love issue and pink patterned bunting! Because Instagram is the place that inspired me to start the blog, is where I’ve made so many friends and is where I generally do most of my blog-ness rather than the blog, that is where the contest will be! 1. Head over to this picture on Instagram. 3. Follow me on Instagram if you aren’t already. 4. Comment with a friend’s handle who’d get their own package. Your account must be public and not an exclusive giveaway account! 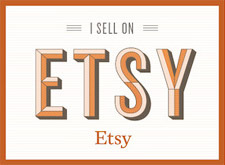 Unfortunately I have to limit this to North America because shipping prices are extremely high these days. Sorry, international friends 🙁 I have smaller giveaways often which are international! I will chose a winner randomly Saturday (May 8) morning. Good luck, and thank you so much for everything! This entry was posted in Books, Crafts, Snail Mail, Zines.